A sunny day for the middle qualification, so we were glad for the 10.00am start so that we did not have to run in the heat. The middle qualifier always passes quickly as there are 3 runners beginning at the same time. There are 3 courses and the fastest 20 on each course qualify for the 60 places in the A final. The map was intricately detailed hilly terrain with mixed forest and some tracks. The later controls catching quite a few of our runners when they were tiring toward the end of their courses. Ed Cory-Wright had an early start and put in a great run for his debut year in the JWOC team – unfortunately he had to watch his name being slowly bumped down the results board and it wasn’t until the last starters finished that he found out he was 21st and had missed the A final by a mere 6 seconds. His excellent performance means he is the last starter in the B final tomorrow. 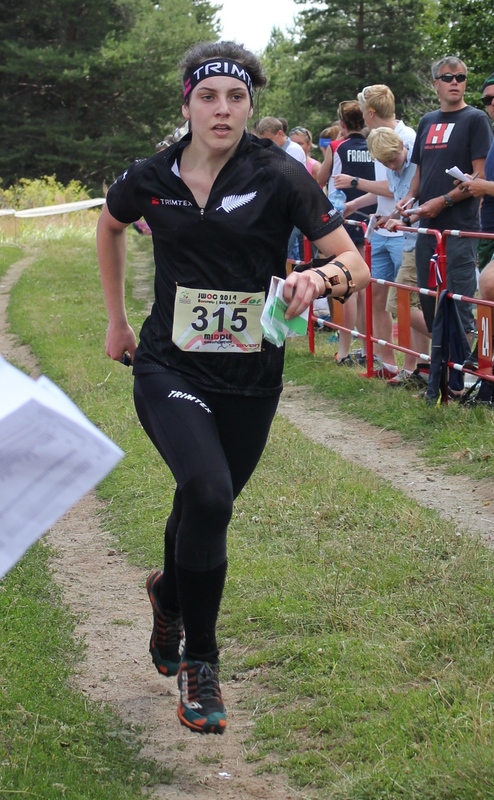 Alice Tilley impressed us all with her calm approach to the race and placed 14th earning a well-deserved spot in the A final in her first JWOC. Nick Hann was our last starter and it was exciting to see his name appear on the board just 52 seconds off the leader and finishing in 6th place in his qualification heat, so he will be amongst the last competitors in the Men’s A final tomorrow. We return to the Zheleznica map for the Middle final. Unfortunately the timetable is for the A final at 10am and the B & C finalists have to remain in quarantine, so won’t get to cheer our A finalists into the arena. We are glad there are several NZ supporters in Bulgaria so that they can support Nick & Alice as they finish.